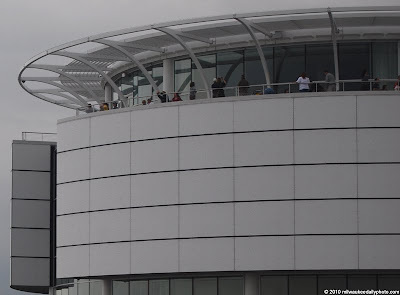 The circular balcony at the east end of Discovery World. The museum's summer Friday night film series "Fish Fry & A Flick" continues this week with a showing of Quentin Tarantino's "Inglourious Basterds". Not a family movie, but who says that kids have to have all the fun?